Prabhakara Varma is called upon to investigate the death of Omana, the daughter-in-law of a local businessman. It looks like a suicide but, Varma is sure that is not so. 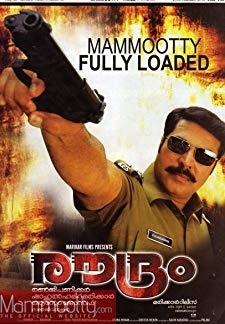 © 2018 Scratchu.com Oru CBI Diary Kurippu | Mammootty, Suresh Gopi, Jagathi Sreekumar, Janardanan, Prathapachandran, Sukumaran, Sreenath, Vijayaraghavan, Captain Raju, Mukesh, K.P.A.C. 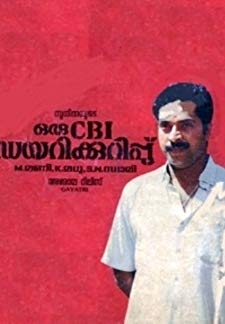 Sunny, Bahadur, Urvashi, Jagannatha Varma, Johny - Oru CBI Diary Kurippu (1988) | Malayalam Movie | 8.1/10 | Synopsis : Prabhakara Varma is called upon to investigate the death of Omana, the daughter-in-law of a local businessman. It looks like a suicide but, Varma is sure that is not so.... Watch Online!! !